Package B: For Toyota, Honda, Nissan, Hyundai & Kia car models only. 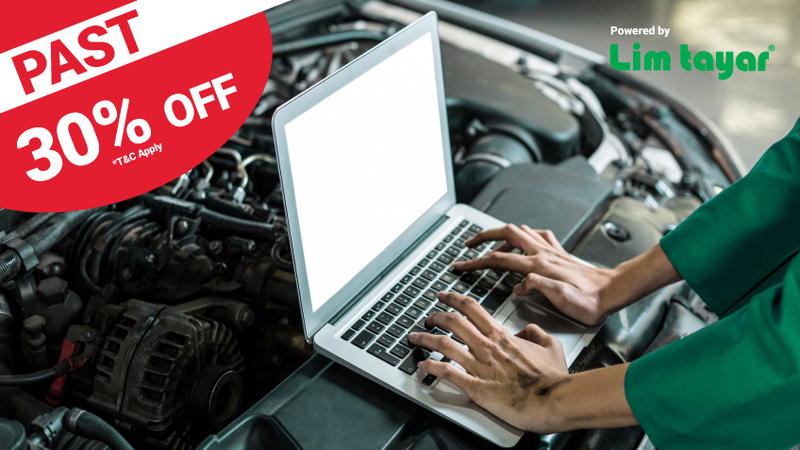 Includes: 4L Castrol Magnatec Engine Oil, Oil Filter, Labour, and 15-Point Car Check. *Able to use all Mudah X Lim Tayar Madness Promo vouchers simultaneously. *Selling period: 11 July – 9 August 2018; Redemption period: 12 July – 9 November 2018. *Voucher only valid for redemption three (3) months from date of purchase. Best to redeem soonest possible to avoid last minute redemption congestion. *Only valid Mondays-Fridays at all Lim Tayar outlets. *Prior booking required and is subject to availability. If your outlet of choice is not able to accommodate, you may need to go to another outlet for redemption. *Not valid with other on-going promotions and discounts. *Any replacement of original oil filter, parts, lubricants, fluids, bolts, nuts, filters, gaskets and more, are subject to additional charges.